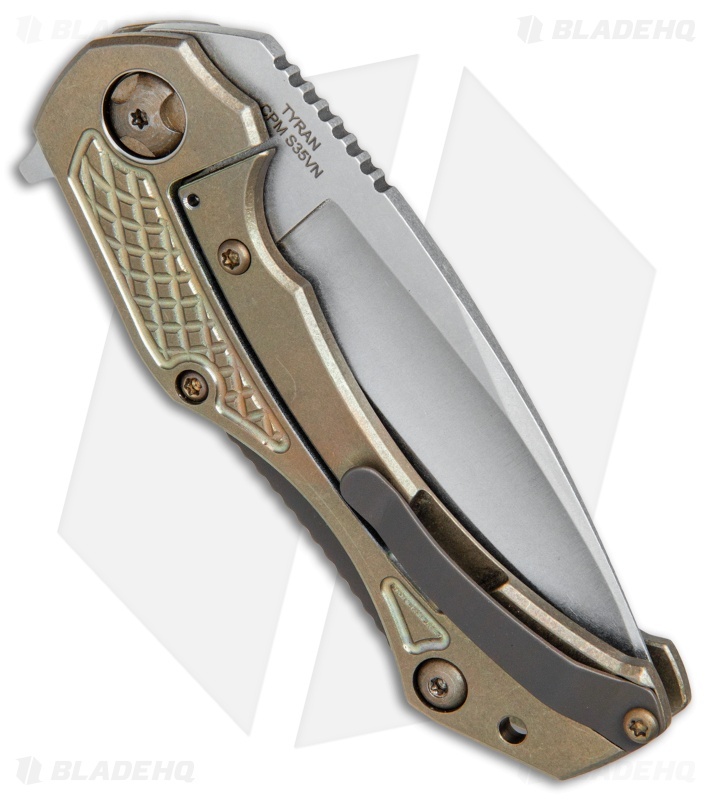 This Tyran model is outfitted with a bronzed titanium handle and a stonewashed blade. The Urban Tactical Tyran from Mikkel Willumsen is built titanium tough for any tactical or EDC cutting chore. 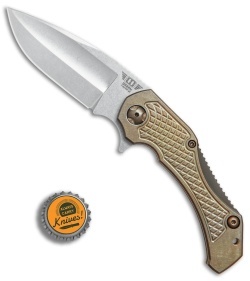 It sports a CPM-S35VN steel blade in a drop point style with a wide fuller groove. The titanium handle has a machined texture and a jimped titanium backspacer. A titanium pocket clip rounds out the solid Willumsen design. 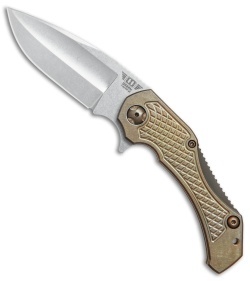 CPM-S35VN steel blade with a smooth flipper opener and thumb ramp jimping for high performance blade control. 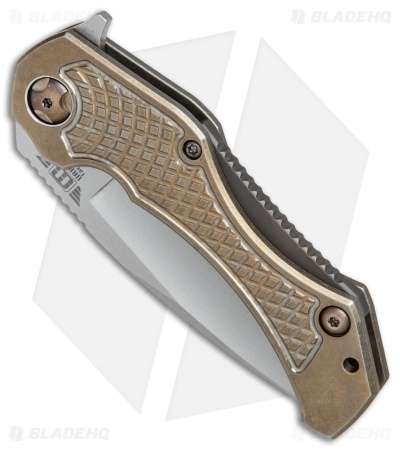 Titanium frame lock handle with a steel lockbar insert for reinforced strength and durability. Tapering titanium handle scales offer an index groove and a machined texture for a dependable grip.